The Securities and Exchange Commission (SEC) has received and is reviewing proposals from Gold Coast Fund Management (GCFM) to replace its Structured Finance (SF) product. 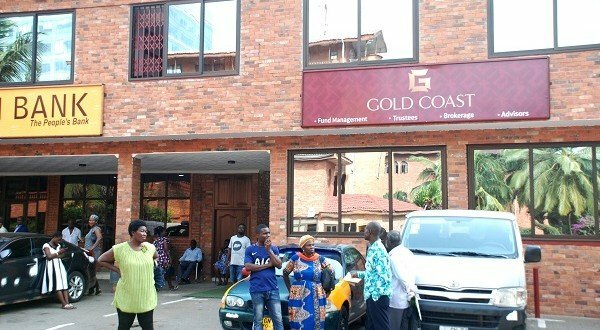 In a public statement released Monday, the Commission stated that in view of the current challenges and the fact that Gold Coast Fund Management Ltd is the largest fund manager in the Asset Management Industry, it is seriously engaged with the company to find a lasting solution to the liquidity crisis it is facing. The SEC believes the proposal from Gold Coast Fund Management will help the company meet all its payment obligations to its customers and investors. It would be recalled that Gold Coast Fund Management in an earlier statement revealed the company had complied with the SEC to stop taking any new investment funds while it works with it to come out with the “Cardinal Fund” intended to replace the popular Structured Finance (SF) product. The Cardinal Fund comes with a bond and equity offer – the bond portion of the fund will allow customers to continue to earn a predetermined return without violating the recent directives from the commission. Discussions with GCFM revealed that it intends to deliver a prospectus and related documentation to the SEC by the end of April, after which the SEC will review, comment, and eventually make a decision regarding the viability of the plan. The company hopes that the approval of its Cardinal Fund will provide a roadmap for other struggling fund management companies seeking solutions to their liquidity challenges. GCFM has recently gone public with efforts it is making to redeem its investments with government contractors and placements with other financial houses. The SEC stated that the company is free to continue to make payments to meet the needs of its customers in the meantime.